The Migration from DAS to Networked Storage Driven by Higher Utilization The use of enterprise-class NAS and SAN storage systems went mainstream at the turn of the millennium. By 2000, IT organizations were flocking to shared storage architectures because they catapulted storage utilization in data centers from an average of 30% to 80%, while dramatically increasing availability of the storage system and data. For Small-Medium Businesses (SMBs), VMware Sparked a Swing Back to DAS In the early 2000’s, a small company named VMware was selling server virtualization tools into IT vendor labs to consolidate workloads and reduce the number of servers needed for testing. Adoption exploded after the technology crossed over into production IT environments. Today, well over half of all enterprise workloads are hosted on hypervisors such as VMware ESXi. In virtualized server environments at SMBs, direct-attached storage emerged as the preferred form of storage. The cost of entry for DAS storage is lower than a NAS or SAN, scales easily by adding servers with SAS storage, and is resilient with live migrations of virtual machines and data. Challenges for Small-Medium Business and Direct-Attached Storage for ESXi The use of DAS for VMware ESXi is cost-effective, but it comes with a set of challenges—mostly due to the fact that small-to-medium businesses have far fewer IT resources than large IT organizations. As a result, what we find common in direct-attached ESXi storage environments at SMBs are: 1) High performance (10GbE or higher) networks are rare—which means vMotion of storage can take hours on 1GbE or 10GbE networks, even when IT organizations follow proper recommendations for configuring an isolated vMotion network. 2) Network isolation is rare—so lengthy periods of vMotion can disrupt performance of application servers sharing the same network as the vMotion. The Best Way to Speed-up vMotion is to Co-Locate Storage VMware small-medium business customers have discovered that one of the best ways to speed vMotion of storage (and extend the life of their direct-attached storage) is to convert it to a Fibre Channel SAN. This significantly reduces any vMotion data traffic across the Ethernet Network and allows all hosts to connect to the storage fabric. Once installed, storage is easily managed as the datastores are still intact and there is limited need to move the VM storage files since they are accessible by all hosts. DAS to SAN Conversion Torcon provides construction management and general contracting services to leading corporations and private institutions. Torcon consistently ranks high on the Engineering News-Record “Top Contractors” list being 14th of 65 in 2017. Torcon has a record of more than $4 billion in managed construction projects over the past decade. The Torcon datacenter had three hosts sharing one SAS RAID Array. Their expansion options were limited and the system was struggling to keep up with demands on its resources. The server hardware was only a few years old yet Torcon was already considering a full replacement. The company converted their direct-attached SAS environment to a Fibre Channel storage area network, which not only saved Torcon the expense of replacing their old hardware, it gave them a wide open path for future expansion. The hardware they were looking to replace will stay in service, completing its five-year life-cycle and meeting ROI expectations. 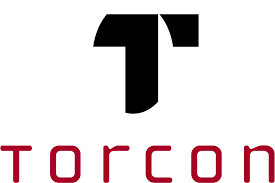 The life of Torcon’s entire system, servers and storage, were extended with added functionality and expansion options. This implementation saved tens of thousands of dollars in new hardware and allows Torcon to scale SAN storage by adding cost effective SAS arrays. Converting their SAS storage to a Fibre Channel SAN provided Torcon with a 16Gb/s shared storage network. 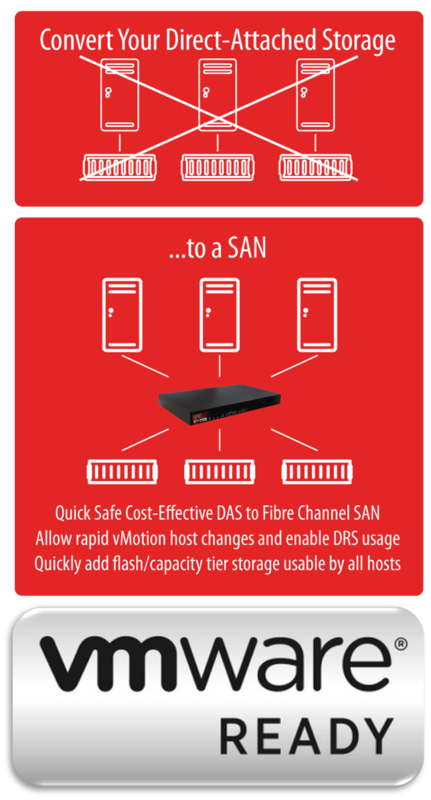 In Torcon’s case the Fibre Channel SAN allowed them to scale up to new storage and new servers as they need while keeping this solution as the core of their IT datacenter and keeping the LAN free from vMotion traffic moving forward. With a separate network for vMotion, virtual machine users are able to immediately experience a faster, more robust LAN network as storage traffic has its own path to physical servers. When multiple host servers are attached to separate SAS arrays, storage traffic will travel over the LAN and bottleneck LAN traffic. As Torcon grows their infrastructure they have the peace of mind that their LAN will be robust with no slowdowns. ATTO XstreamCORE allows all of Torcon’s current storage and server hardware to be re-used and when they do need to upgrade, a “hidden” cost-savings they no doubt will be thankful for when the time comes, is the ability to just add new storage or new server nodes without requiring a rip and replace. The hardware ATTO used at Torcon includes ATTO Celerity™ 16Gb dual port Fibre Channel host bus adapters and an ATTO XstreamCORE FC 7550 SAN storage controller. The controller is what ATTO calls “an accelerated protocol conversion appliance” that allows Fibre Channel HBAs to talk to SAS/SATA RAID boxes with less than four microseconds of latency. The entire upgrade took less than three hours. Once the controllers and HBAs were installed and the server powered up, datastores were immediately recognized on new paths. This process was repeated across all servers without having to bring the system down, allowing users to work as usual during the upgrade. ATTO Technology specializes in storage and network connectivity and infrastructure solutions for the data-intensive computing environments. SAS RAID and JBOD arrays provide superior performance but are significantly less expensive that Fibre Channel arrays. SMBs can have their cake and eat it too by deploying SAS storage along with a SAS-to-FC controller. The bottom line for cost-conscious SMBs is that SAS-based SAN architectures should be considered. They provide the performance, availability and scalability of Fibre Channel SANs with the cost of commodity SAS storage.